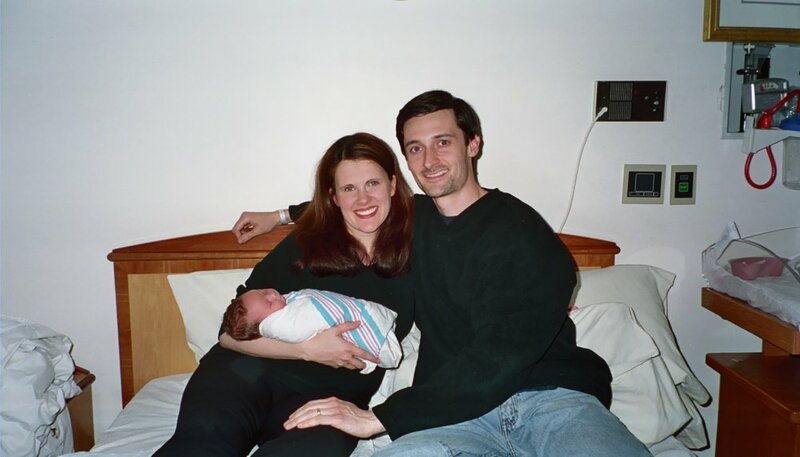 In honor of my son's 11th birthday, which we celebrated this week, I wanted to post his birth story. What is below is mostly unedited, so please keep in mind this is from the perspective of a first-time expectant parent and far from a birth professional at that point in time, as I started pursuing birth work a few years after (although I have briefly added to or corrected a few things that were misconceptions at the time). Note: I changed my husband's name to "Beloved" and my son will be named "Little Fella". 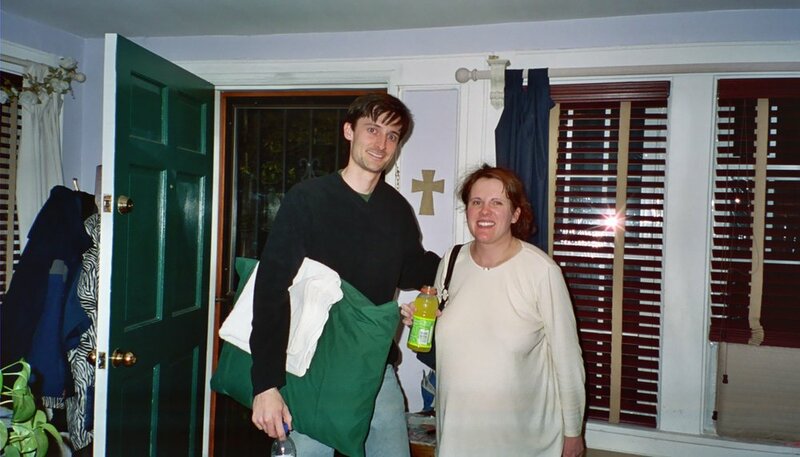 Sunday, May 8, 2005 (Mother’s Day) – My mom had flown up from Texas to help us for about a month. She had been here for a few days and I really wanted to try to help myself go into labor with some activity. So, on Mother's Day, my husband, mother and I took the subway from our home in Forest Hills, Queens, into church on the Upper East Side. After, Beloved went to work while Mom and I walked up to the Metropolitan Museum and took a “Museum Highlights” tour, walked to Central Park and saw all the beautiful tulips and daffodils in bloom, had hot dogs for lunch, walked back to subway, took subway down to the Flatiron district, walked over to a flea market or two. After a fun, long day, we returned home, walking home from subway. We tracked a total of approximately 50 blocks! I’m virtually certain this brought on labor!!! Monday, May 9, 2005, ~10:30am – wake up and it seems like I’m having contractions. I begin to record them, and they are coming every 3 minutes, but only last 30-45 seconds. This is a tad confusing to me as I had heard only scenarios where the contractions come less far apart but last longer, but not the reverse. Dr. R had given us the guideline to call her when our contractions were 3-1-1 (3 minutes apart, lasting for a minute, and this pattern going on for at least an hour or possibly two). So I wasn’t exactly sure what to do. At this point, the contractions weren’t enough to make me totally stop what I was doing, but they were slowly, gradually getting stronger. Beloved didn’t get up until probably around noon as he worked late the night before. I shared with him what was going on; he was extremely calm and suggested that we take a walk, then return home and have me take a warm bubble bath and then take a nap – all were things suggested to relax and see if contractions subside or continue to progress (ie to figure out if we’re actually in labor). I called work around 1:45pm to let them know I wouldn’t be coming in to work that evening because we might be in labor, and that Beloved would call as soon as he knew if he could make it or not (we worked at the same investment firm at the time). ~2:00 pm – Beloved and I take a walk to Stop-n-Shop as I needed to get a couple things. Was a gorgeous, sunny day. By this point I think I was having to almost stop walking when the contractions would come (or at least slow down). On our walk back home, we ran into neighbor Marilyn and her daughter and 5-month old granddaughter and had a short chat with them, telling them we thought we were in labor. Marilyn used to be a nurse, and she said, “maybe in the next 48 hours”—she didn’t seem to think I was very far along since I could still talk. At about 3:30pm upon our return from the store, we called our doula, Ellen Sidles Farhi; she advised me to take a bath and drink more water (she advised 16 ozs; I drank 40) and call her back in an hour. I did as Beloved and Ellen instructed and took a bubble bath; I think Beloved turned on my 6-hour-long labor mix on iTunes. Then I attempted to take a nap, but couldn’t sleep due to the strength and frequency of the contractions – a clear sign we were in labor. 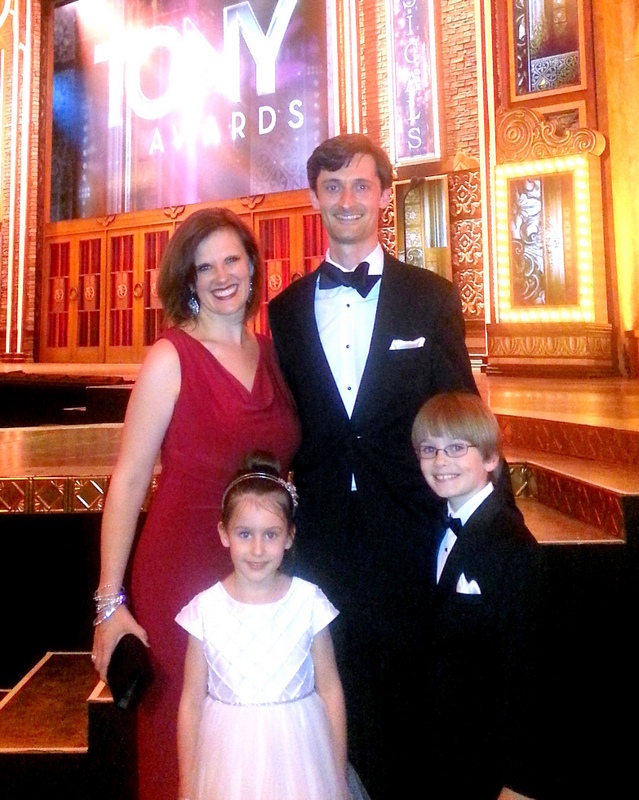 We debated over calling our OB, Dr. R, but decided against it. Just after 3pm, Beloved called work to let them know he wasn’t coming in to work. Boy, was I glad very soon thereafter!!! ~4:00 pm – this is when we think the contractions became all-encompassing. Beloved called Ellen during this time; she had Beloved put me on the phone. I don’t remember what I said to her, but I do remember Beloved holding the phone up to me during a contraction so Ellen could hear my moans, at which time she had Beloved encourage me to keep the moans as low in pitch as possible, so Beloved kept gently guiding me to this lower pitch—has something to do with taking in more oxygen and vocal cords being more relaxed in lower pitches. She told us we were now in active labor. I think she might have asked me if I wanted her to come over yet, but I said we could wait a while longer. I had to sit on the birth ball, rhythmically moving right to left, back and forth, and at times banging my fist rhythmically on my leg, moaning; Beloved sat behind me to massage my back. In between contractions I would collapse on to some pillows on the arm of our loveseat. Seemed like we did this for quite a while. Beloved called doula Ellen around 7:00 or a little after that, I think, to come join us. On the phone, she recommended I get into a warm bath. Beloved asked Mom to get pizza from Mazara’s down the street (I think he also sent her on another errand at some point during our early labor). Beloved fed me pepperoni pizza in between contractions while I was in the tub. Ellen arrived around 8pm; we opened the window in the bath as it was quite warm (later we shut it some as I began to get a little chilly). I believe they called Dr. R when Ellen arrived to give her a heads up that we’d probably coming in tonight; Dr. R was already at the hospital delivering a couple other babies, so she said no need to call again, but just show up in triage when we were ready. Our tub is so tiny—I think it’s smaller than contemporary tubs as it’s older, in fact—it wasn’t ideal to labor in, but it definitely was helpful being in the warm water. When Ellen arrived, she asked Beloved to bring in and light a candle. It was my favorite Bartlett pear candle. They gave me liquids frequently to drink. I kept feeling like I had to pull myself up with my arms from having my bottom supporting my weight while sitting in the tub, as the back pain was quite bad. We remained there in the tub until around 11:15pm or so; the contractions were coming pretty fast and furious, sometimes almost on top of each other. At this point, Ellen recommended that we start gathering our things to go to the hospital, saying we didn’t want for me to be in transit when entering the transitional phase of labor, so we should go now. It was pretty slow-going (as we learned in our class) getting ready to go as I had to stop for the contractions. Leaving for the birthing center! I’m clearly not enjoying things too much at this point. Arrival at Manhattan's St. Luke's Roosevelt hospital(about a decade later renamed Mt. Sinai West). The front entrance on 10th Ave. was closed, so we had to go around the side. Ellen parked our car in a nearby garage while Mom, Beloved and I went in through the emergency after-hours entrance. They waved us through to the elevator bank and said to head to the 12th floor. We went into triage, and they paged Dr. R. Mom had to stay in the waiting room, but Beloved came with me. Ellen arrived pretty soon thereafter. They gave me this tube-top type thing to put around my belly, under which they tucked the fetal monitor to do 20 minutes of fetal monitoring. They gave me a hospital gown to wear. A nurse drew blood. We thought they were going to give me a Hep lock, but then Dr. R requested that they not do that. Before Dr. R said this, Ellen asked me if I was okay with that, and I said I was (but with the hope that they wouldn’t have to use it). Dr. R did an internal exam, and found that we were 7cm dilated. Good news!!! 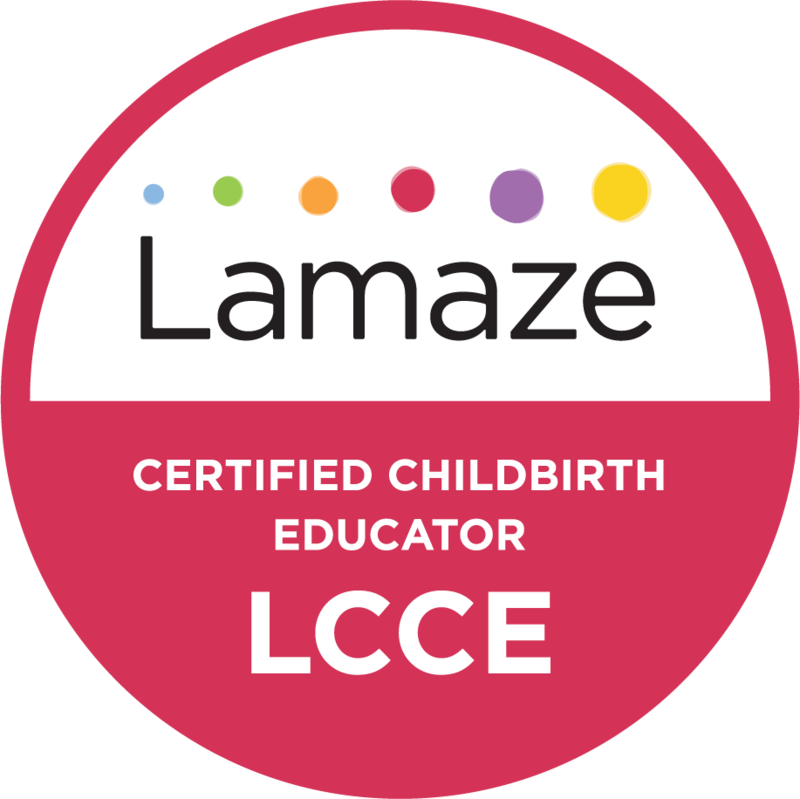 I was very excited and relieved to hear this, as you have to be at least 5-6 to be admitted into the birthing center. Dr. R was looking for 2 movements from the baby within 15 minutes on the monitor – apparently the baby must be this or more active in order to be admitted to the birthing center. She seemed very concerned and said she might have to hook me up to an IV if she didn’t see more movement. I immediately began to chug the Gatorade, and soon thereafter the baby moved several times (whew!). Also, during this monitoring time, I threw up all over the hospital bed they had me on. Once everything was finished in triage, we went back out and got Mom and our belongings and went down the stairs with Dr. R to our Birthing Room (Room 1 of 3). She turned on the water for the tub, and then said she would be back in two hours and to call her cell should we need her before that. Got a quick photo with Dr. R before she left the room (good, too, since that was the last time I was clothed!). Beloved changed the light bulb, got out snacks, set up the sound system—battery operated speakers with my iPod to play our labor mix. Mom got some ice and some cups. Ellen got out her lavender oil because the room smelled like bleach. I think I got in the tub pretty quickly and stayed there for a long time. After two hours, I believe I was still in the tub. We finally decided to ask for more time and asked her if she would consider artificially rupturing the membranes (asked her first to leave the room so we could discuss it with Ellen). She returned to the room, agreed and was about to do it right then and there, but Beloved asked everyone to leave the room so he and I could talk briefly. While Dr. R was out in the hall, Ellen told us it seemed like Dr. R began to work out in her mind the logic of why we were having difficulty—once they came back in the room, it dawned on her that Little Fella was posterior (geez, I could have told them that! Had a hunch for the prior two weeks that he was, even mentioned to Dr. R, and had been trying to take measures to encourage rotation, but apparently it hadn’t worked and I didn't have the bandwidth in labor to realize it!). Just goes to show what a little waiting can do. I’m not sure if she would have been as quick to recommend pitocin/epidural had she realized this earlier, but I'll never know. Dr. R then said she’d come back in an hour, and told Ellen we should get in knee-chest position to encourage Little Fella to turn as he was posterior (aka “sunny side up”). Beloved spoke with Dr. R for a moment, and during this, I felt compelled to hang from something (as I’d seen in Ina May’s Guide to Childbirth—a primitive labor position)—there wasn’t much of anything in the room to hang from, but I hung from a bar in the tub while standing outside the tub. Once she left, Ellen and the nurses got me on the bed in the knee-chest position, which couldn’t have been more awkward—had to have my face on a pillow, not supporting myself with arms at all—to work on turning him. I was having really strong pushing urges at this point and Ellen tried to help me to resist the urge (by having me do lip trills) since that wasn’t the goal at the moment…I think that I had some (constipated) bowel movements during this time (so much for embarrassment or modesty!!!) with the pushing urges that I couldn’t seem to resist. The nurses were great, cleaning it up immediately as if it didn't even happen. I didn’t realize it, but toward the end of this time, Beloved tells me I said to him that I wasn’t sure how much longer I could go on. He went out into the hall to talk to a nurse and ask if we could get Dr. R back soon. He really wasn’t sure what to do; how to help me. At that moment Dr. R walked up! Dr. R returned to the room to examine me, and this time she said we were fully dilated and ready to push!!! Little Fella had successfully turned anterior. So incredibly grateful! There was some talk about what positions we wanted to try; Beloved suggested a supported squat, but no one seemed to be too keen on that (I was, but wasn’t being very participatory at this point)…After Beloved questioned the openness of the pelvis pushing in the semi-reclined position, Dr. R said in her 20 years of experience, the semi-reclined position with holding my legs up wide and up to my chest would prove most effective in this situation. We started in this position; I wanted to and did sit on the toilet. Things progressed quickly there, to the point where Dr. R said, “I can’t deliver/catch this baby in a toilet!” (I was thinking, “why not, if it works?” But of course, it seems like she would have had more trouble minimizing tearing through perineal massage with my perineum face down!) So after just a few minutes on the toilet, she said, “Lisa, I need you to get on the bed again and this baby will come right out.” So I decided to trust her on that and heed her request, though in retrospect I still really think an upright position would have been more efficient. Got back on the bed; was having major issues lying down with acid reflux, so thankfully they elevated me a little bit—put a pillow or two behind my head. I wish they had elevated me more so we would have been working with gravity a little more, but then perhaps that would have sped things up and increase tearing? Who knows. Apparently, though I don’t remember it, the nurses tried to suggest getting the “wedge” which would have put me in semi-reclined position but for some reason Dr. R resisted it—I want to request it next time; I think she would have allowed it had I requested it instead of the nurses, but I didn’t know what a “wedge” was!!! I had to pull my knees to my chest, but had people helping me by holding a foot, etc. Dr. R would tell me when to push and would—so slowly—count to ten each time. I always felt like I couldn’t make it all the way to 10, and often didn’t make it. They were encouraging me to not let any air escape as I pushed, but I didn’t always feel it possible. I remember vaguely that Beloved was whispering in my ear all the perfect things ("we’re going to see our baby soon"…"you’re doing great"…etc.). I think in between pushing at some point, Dr. R said that I needed to push really low and not up in my chest, like in singing—she was really speaking my language since I'm a trained singer (though I'm quite sure she didn't know it) and I think that helped a lot. I felt an incredibly strong burning sensation as he began to crown, as all the books told us. Dr. R did perineal massage as he was crowning to help stretch the perineum and reduce tearing. They told me when he was crowning, and said he had a lot of hair; Dr. R told me to feel his head, which I definitely wanted to do to help make the goal more tangible. I couldn’t believe how much hair was there!!! Amazing. Pushing got really intense, of course, and eventually he came out—his body pretty much slipped right on out once his head came through. Beloved said he thought that part happened a lot faster than in videos we watched. I remember seeing Beloved's face in amazement as he almost broke down in joyful tears—that tied for the best part, along with the nurses immediately wrapping Little Fella in a towel and placing him on my chest as he cried and cried (we learned in class that this is actually a good sign of a healthy baby!). The placenta seemed to be delivered with one easy push quite soon after Little Fella was born. Dr. R said I had a small tear and had to stitch me up. They clamped the umbilical cord, though I completely missed it, and then asked Beloved if he wanted to do the ceremonial cutting. To my surprise, though I didn’t know about it until much later, he did it, and with no hesitation about the blood. I think fairly soon thereafter, we got started on breastfeeding, with the help of Ellen as well as nurse Danielle. Ellen left soon thereafter as it was her own son's birthday. 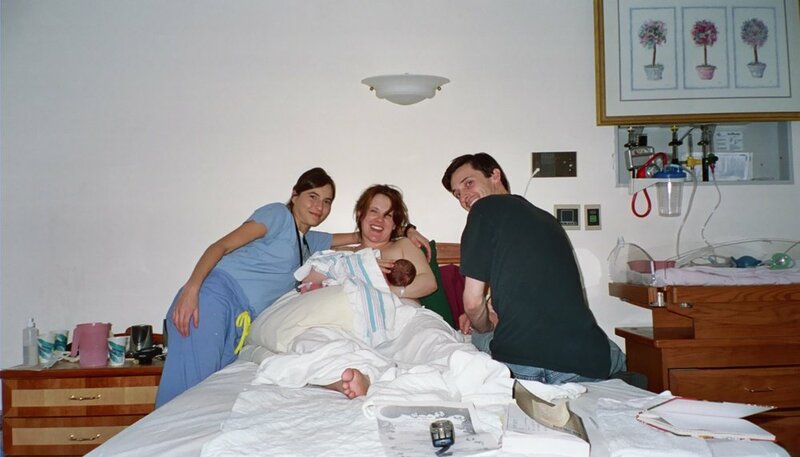 We offered to order breakfast for everyone, but about 30 min to an hour after his birth, the nurses’ shift was over and we got a couple of new nurses so they all declined (I think one, Mary Ellen, might have been a lactation consultant?). Our new nurse, whose name escapes me, was totally lovely – extremely caring, personable, clear in her instructions on various things about taking care of baby, etc. At some point, they took Little Fella to the side of the bed to administer the state-mandated Vitamin K shot and erythromycin eyedrops. I love that they never took him out of the room! All three of us slept together in the nice big birthing room double bed throughout the day in between feedings. Once the breakfast arrived, Beloved and Mom fed me bites of fruit, eggs, French toast, freshly squeezed OJ while I fed Little Fella…was all SO yummy! Mom went and napped and watched tv in the family room for a while throughout the day. In the afternoon, the pediatrician came by to check him, and a guy came by to do a hearing test, which he passed. After filling out birth certificate and other paperwork, they wheeled me out in a wheelchair (required by hospital), holding Little Fella–we left the hospital around 9:45pm, and got home around 10:30. Welcome home, sweet baby boy!!! Just before discharge to head home, the new and happy family unit! Happy 11th Birthday, dear son. We are so proud of you and are honored to be your parents!